Maricopa County has a new Supervisor representing parts of the East Valley. Jack Sellers was appointed today to represent District 1 by unanimous vote of the Board of Supervisors. “What an honor and privilege it is to be appointed to serve on this outstanding Board,” Sellers said after taking the oath of office. 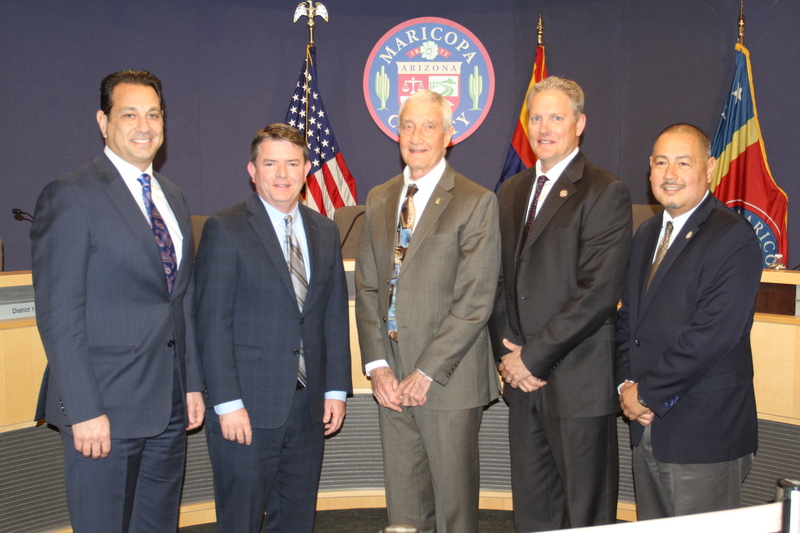 Supervisor Sellers brings a wealth of experience to the Board that includes service on the Chandler City Council, Maricopa Association of Governments (MAG), the Greater Phoenix Economic Council, and the East Valley Partnership. He is currently the Chair of the State Transportation Board. “I think the next several years will be critical for us in defining our transportation infrastructure for the future and I felt some concern going into my last year on the transportation board about how I was going to be able to play a key role. I feel like serving on this Board gives me the opportunity to do that,” Supervisor Sellers said. District 1 includes parts of Mesa, Chandler, Gilbert, Queen Creek, Ahwatukee Foothills and Tempe. The seat was previously held by Denny Barney who stepped down on February 1 to focus on this position as CEO of the East Valley Partnership. “When you look at Jack’s experience and the needs that we have in Maricopa County, the pieces of the puzzle just fit in choosing him to fill Denny’s position,” said Supervisor Steve Chucri, District 2. The Board received 13 applications for the position. Arizona Revised Statute 16-230(A)2 requires the current Board of Supervisors to appoint a person of the same political party from District 1. The seat will be open again in 2020.